In the second round of Grand Prix tournament in Tashkent only one game was decided – Russian player Alexander Morozevich won against rating favorite Fabiano Caruana and became the sole leader in the second stage of GP. Despite the drawish result the game between Peter Leko and Shakhriyar Mamedyarov became one of the most exciting! As Alexander Morozevich pointed out during the press-conference, he was surprised by Caruana`s opening choice (Berlin Defense) and went for a relatively harmless line starting with d3. After a few moves a typical Exchange Spanish pawn structure arose on the board. 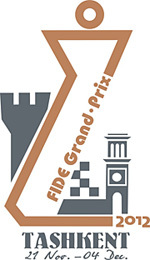 The first round of the second stage of Grand Prix tournament in Tashkent got under way on the 22nd of November 2012 after FIDE President Kirsan Ilyumzhinov made the first symbolic move in the game Mamedyarov - Kasimdzhanov. The first round was a pretty exciting one for the start of the tournament - two Russian players Alexander Morozevich and Sergey Karjakin started with victories while the other four games were drawn. The opening ceremony of the 2nd stage of FIDE Grand Prix Series 2012-2013 took place at the Gallery of Fine Art on the 21st of November. The event was attended by such honorable guests as the FIDE President Kirsan Ilyumzhinov, the Deputy Prime-Minister of Uzbekistan Adham Ikramov, the Chairperson of Fund Forum’s Board of Trustees Gulnara Karimova and many others. The organizers of the Tashkent tournament include FIDE (the World Chess Federation) in collaboration with Agon, the Chess Federation of Uzbekistan and Fund Forum. In 2007, Tashkent was named the cultural capital of the Islamic world as the city is home to numerous historic mosques and Islamic locations of interest. Tashkent also houses the earliest written Qur'an which has been in Tashkent since 1924. 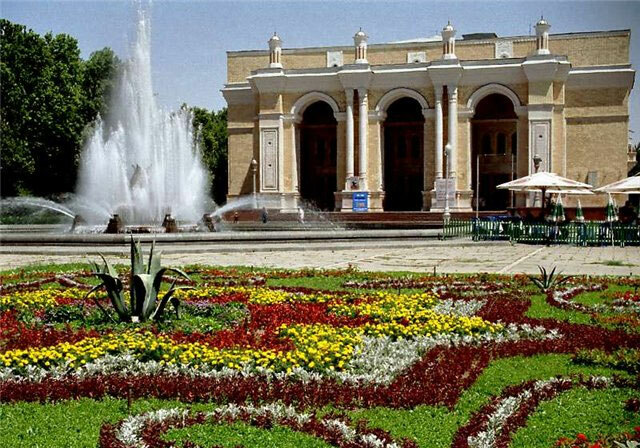 Tashkent has a Mediterranean climate (Köppen: Csa) with long, hot and dry summers from May to September and short but cold winters from December to February. The climate has continental influences, and features two peaks of precipitation in the early winter and spring. The slightly unusual precipitation pattern is partially due to the 500 m (roughly 1600 feet) altitude that the city features. The temperatures in Tashkent can be extremely hot during July and August. Most precipitation occurs in the months of winter and spring, while the period between July and September is dry.